Juan Diego Molina 'Stoichkov' has been the protagonist of the first visit of the program 'Juguis on juguis, guanyes' of the 2018-19 season, organized by the Fundació Reial Mallorca in collaboration with the Social Benestar area of the Ajuntament de Palma. This program is aimed at children and young people at risk of social exclusion and the FRM participates in it with schools in the different districts of Palma. 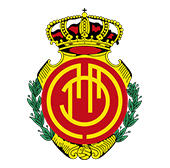 The andalusian player of the RCD Mallorca has visited the boys of the districts Llevant Nord and Ciutat Antiga and has been delighted with his collaboration: "The experience has been beautiful, I tried to help them as much as possible and has been a very beautiful experience." Stoichkov believes that the program ' Juguis on Juguis, Guanyes ' "is a project spectacular because it helps the children who need it."